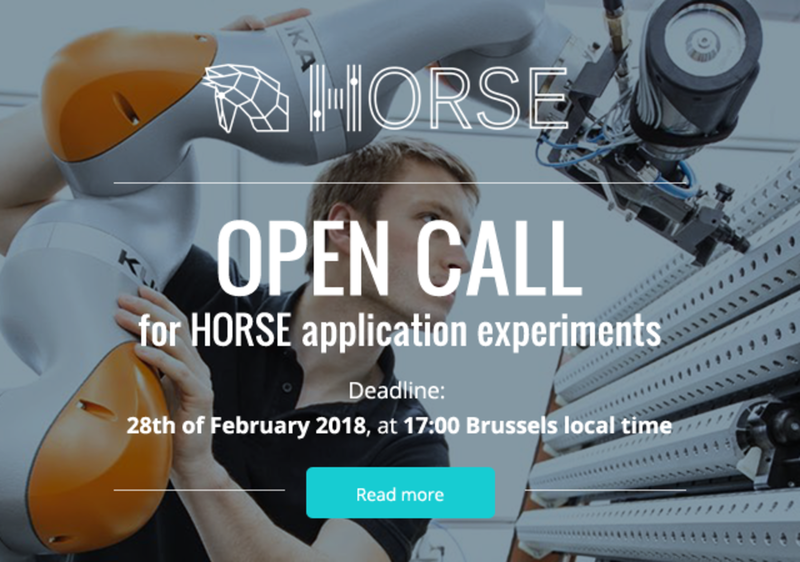 Open call for application experiments in the area of robotics is published within EU H2020 project HORSE – “Smart integrated Robotics system for SMEs controlled by Internet of things based on dynamic manufacturing processes” with focus on human – robot collaboration. Call welcomes in particular consortia of partners, consisting of the end user (a manufacturing organisation, preferably an SME) and other partners, e.g. research institutions, system integrators and hardware providers. Expected duration of project is 9 months, maximum funding for proposal is 200.000 EUR, deadline is 28. February 2018.